Is rugby's Boer War over now? Since the Boer War, savagery has permeated the rugby rivalry between England and South Africa. For reasons both understood and irrational, two brutally physical teams have held particular animosity towards each other. A loss to the English felt like a violation. Will it be the same, this June, as the Springboks continue their ‘transformation’? Will we see the ferocity of the last century played out again, with no quarter asked, no prisoners taken, and no kindness given? Or will it just be a good-hearted skills contest between two sportsmanlike teams seeking to return to the top? Yes, there have been skillful geniuses. Madly courageous Jonny Wilkinson cutting the Springboks with his cutlass boot, Fourie du Preez masterminding two World Cup wins against the Poms in the same tournament, and Danie Gerber slicing through the English defenders, sliding over the try line, but cleverly not dotting down, only to lope under the sticks to score. But most of the Tests between these teams have been snot-spattering, head-butting, how’s-your-father street fights. There were a few routs: the surprising 36-0 smashing in 2007 in Paris, when the eventual champion Boks swept the English aside like crumbs at a braai; and the ugly 53-3 hiding handed out by a dominant Red Rose team, to which the Boks responded in disgraceful ways. This rabid rivalry is not even, as the far calmer Wallaby-Bok ledger is: the teams have played 38 times, with only 13 wins for England, and an average score of 21-16 to the Boks. That’s not a record skewed by dodgy home referees or pre-readmission wins: in the last 13 Tests, England has only won once (the last time, and that was against hapless Allister Coetzee, who couldn’t find a way to beat Italy). But for some reason, every single loss to England is remembered as if a relative was mugged. Three of them happened in South Africa. In 1972 in Johannesburg, in 1994 in Pretoria, and in 2000 in Bloemfontein. But never a series. Never. 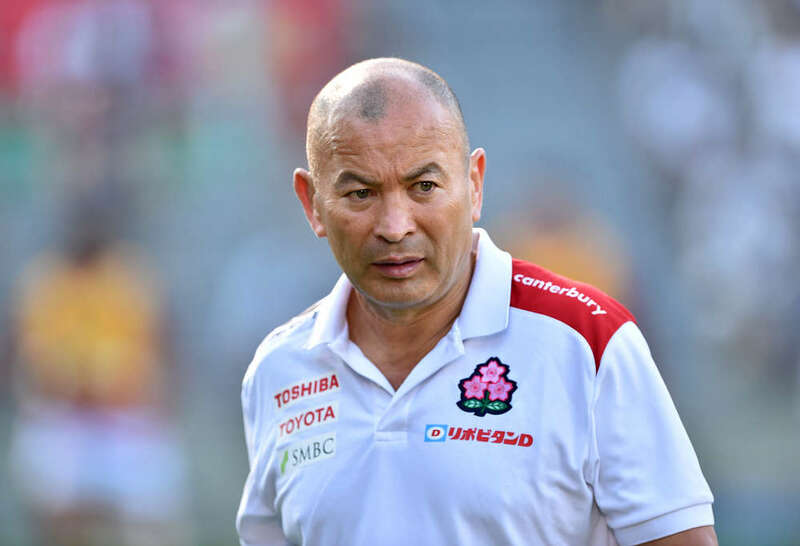 Eddie Jones is having a tough run, but he knows if he ‘beats history’, it will all be forgiven. He’s already doing his thing. He told the journos he expects South Africa to be highly motivated because of “cultural issues” between the countries, highlighting a “dislike of the English”, and maintaining his side will whitewash the Boks 3-0. Jones says it will all be different, because he understands “the South African rugby psyche as well as any”. For him, it’s about exploiting animosity. “How can you use their dislike of the English to create an opportunity for yourself because you know at Ellis Park they will be unbelievably passionate and aggressive for the first 20 minutes,” he asked, rhetorically. So, how will England use Bok aggression against Erasmus and his new captain, Siya Kolisi? Is that even relevant, now? The packs will be about the same size, obviously. While Bismarck and Thor may have grown up with an anti-English ethos, will that hold true for Lukhanyo Am, Sbu N’kosi, and Aphiwe Dyantyi? Who knows? Erasmus is preaching “balance”. A return to rock-hard Saffa defence, where every player would prefer amputation than give up a try; allied with faster realignment and mismatch locations. But can he find a backline that really fires? Jones is talking up psychological warfare, mentioning Brighton whenever he can, and assuring the world that the Boks are “full of hatred” for the English and planning rugby jiujutsu. But can he find a loose trio that can compete at the breakdown? 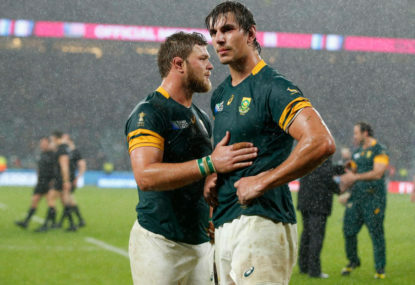 In a fascinating match-up of talent-rich heavyweights who have been in a slump, but are always just a match or two away from greatness, England will tour the Republic and seek to find the heroic ghosts of 1972, 1994, and 2000, but go further, by taking a series from the vulnerable Boks with so many new faces, perhaps less belligerent than prior vintages. Will the grizzled Sarries forwards worry about being overpowered by Rassie’s new Boks? Has club rugby already claimed a Test scalp, by dulling the electricity of ‘sports hate’ which fuels every rivalry? Is there still life in this old contest? What new chapter is about to be written?